Getting a copy of your driving record from our partner can be more convenient and potentially faster than going to your state agency. Have a driver's license? Then, you're on the record! Whether you've been behind the wheel once or more times than you can count, if you have a driver's license, you have a driving record. A driving record is a public account of various aspects of your driving history. Every state's motor vehicle agency (DMV, BMV, OMV - and so on) maintains driving records for all licensed drivers within the state. These records go back at least three years or more depending on your state. Basic identifying information such as name, address, and gender. Driver's license number and state of issuance. Driver's license status and expiration date. 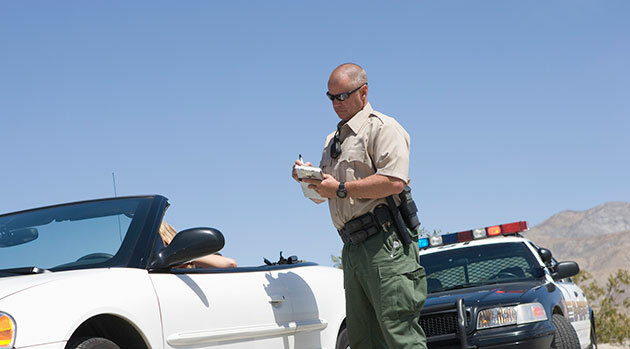 Violations and convictions, including information on traffic tickets and speeding tickets. Penalties like points, fines, and suspensions and revocations. Who Orders Driving Records and Why? Violations, violation codes, traffic tickets, speeding tickets, and other fines. Your driver's license code and classification. Your driving history impacts your car insurance costs. Car insurance agents assess your driving record history and driving record points when determining your auto insurance rates. Insurance agents consider you a higher risk driver if you've had more driving violations, and the higher your risk, the higher your insurance rate. So, it's important to have a handle on how your record stacks up. Employers might request access to your driving record as part of an employment screening protocol. Individuals involved in pending court cases might also seek access a driving record. Rules on who can request a copy of your driving record vary by state, so check your state's regulations. How Can You Order a Driving Record? Although you can order your driving record directly from your state's DMV, ordering your driving record from a third party provider can expedite the process. Independent providers can help you obtain your records quickly via Web, email, or fax. Keep in mind that some states only allow you to access your driving record from the DMV, so be sure to check your state's policies. Have you or your employer ever sought out your driving record? Tell us about the experience!